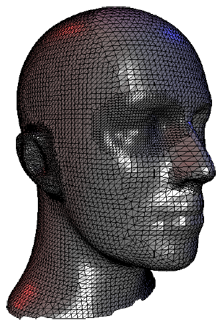 While traditional computer aided design (CAD) is mainly based on piecewise polynomial surface representations, the recent advances in the efficient handling of polygonal meshes have made available a set of powerful techniques which enable sophisticated modeling operations on freeform shapes. In this tutorial we are going to give a detailed introduction into the various techniques that have been proposed over the last years. Those techniques address important issues such as surface generation from discrete samples (e.g. laser scans) or from control meshes (ab initio design); complexity control by adjusting the level of detail of a given 3D-model to the current application or to the available hardware resources; advanced mesh optimization techniques that are based on the numerical simulation of physical material (e.g. membranes or thin plates) and finally the generation and modification of hierarchical representations which enable sophisticated multiresolution modeling functionality. We present an interactive system for the generation of high quality triangle meshes that allows us to handle hybrid geometry (point clouds, polygons,...) as input data. In order to be able to robustly process huge data sets, we exploit graphics hardware features like the raster manager and the z-buffer for specific sub-tasks in the overall procedure. By this we significantly accelerate the stitching of mesh patches and obtain an algorithm for sub-sampling the data points in linear time. The target resolution and the triangle alignment in sub-regions of the resulting mesh can be controlled by adjusting the screen resolution and viewing transformation. An intuitive user interface provides a flexible tool for application dependent optimization of the mesh.